Welcome Home! 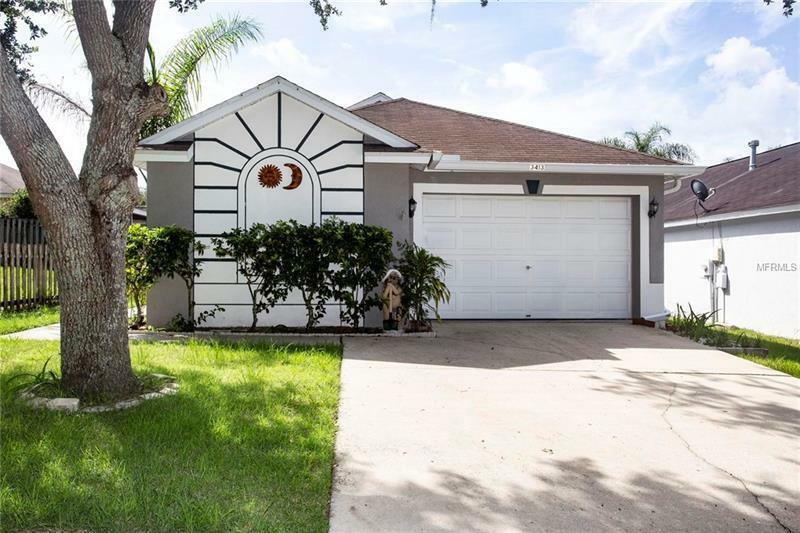 This 4 Bedroom, 2 Bathroom home is tucked away in Copper Ridge, a highly sought out community in Valrico. The large Living Room has lots of natural light. Newer appliances in Kitchen including Gas Stove and garbage disposal have been very well maintained. The built in Dining area off the Kitchen has sliders that open to the Covered Lanai. Beautiful white Tile all throughout the house brightens every room and keeps it nice and cool in the Florida heat. The Master Bedroom sits in the front of the house away from the other Bedrooms which is connected to the Master Bathroom and Large Walk in closet. Go out to the covered Lanai and soak up some relaxation in the Hot Tub. The Backyard is fenced and would be perfect for a little Garden. Located close to State Road 60, gives you access to plenty of Shopping, Dining and easy access to I-75 and the Crosstown. Come see Today!! !